I’m a communications junkie. I majored in Speech Comm in college, competed in National Collegiate Forensics, played preacher instead of house as a kid. I make my living coaching, teaching, facilitating, advising, moderating, interviewing, keynoting. Plop me down in almost any setting, audience, or topic and I can probably make it work. Writing, not so much (more on that in the next blog). But speaking – that’s my sweet spot. “Have an attention-getter, a thesis, three points, evidence and stories” may be the synthesis of Speech 101, but my advice is to forget the mechanics. If you think about communication as creating a meaningful exchange you can ditch a lot of the “presentation how-to’s” and get to the heart of what really matters. This is the difference between a death by PowerPoint data download (i.e. what I have to say, how much I know) and a really compelling exchange that gives your audience (a person or a stadium) a chance understand why and how what you are offering connects to their lives (what’s known as the WIIFM –What’s In It For Me principle). The value of anything you are bringing to the table – personality, credentials, passion – is determined by the other four variables. TIP: “Know Your Audience” means asking not just who they are, but why they are (their purpose, values, commitments), where they are (at this stage of their career, in this organization, in this situation) and what they need to know (most pressing issues, what is most relevant, timely, and essential). This is a tough one because we are most likely to hose someone down (total information overload) when it’s something for which we have great passion, expertise and experience. The bummer is that others’ apathy will turn into true rejection if we overdo it. It’s like seeing your neighbor’s pictures from their trip to China – you can probably get the real story and highlights in about 20 slides – maybe even generating enough interest to consider a trip there yourself. If they show you 200, you want to leave; they try to show you 2,000, you’re ready to move across town. Harnessing your enthusiasm (passion, expertise, urgency) in service of making the topic meaningful and relevant to your audience in doses they can handle is a discipline. It’s one worth developing, as a speaker and a leader, because a leader (no matter how passionate) without followers is just somebody out on a walk. 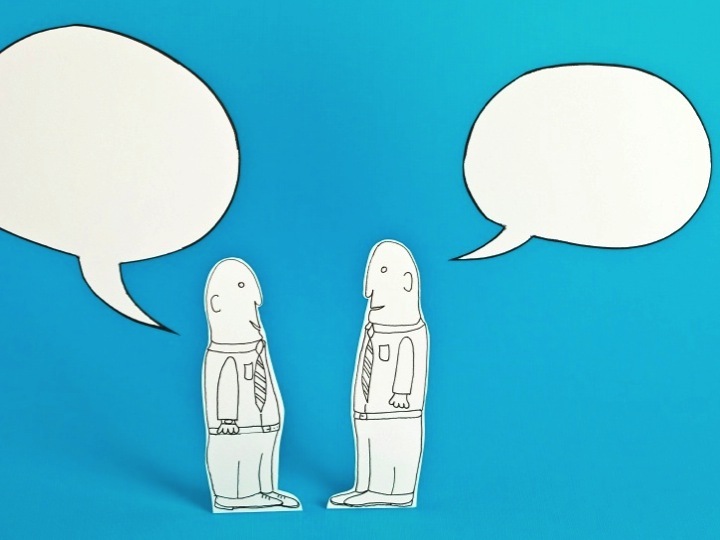 Connecting others to your message — just enough, just in time — is the key to a real exchange of real meaning, depth, and lasting impact. TIP: Keep your intensity and passion, but tone down the volume (both in terms of intensity and amount) when sharing important information, especially when trying to persuade someone. Keep in step with their receptivity to alter your pace, using feedback (not your own agenda) as your guide for moving forward. Forget the “tell them what you’re going to say, say it, tell them what you said” advice. Provide some structure and flow, sure, but save your time on reciting your outline. Focus instead on creating a compelling experience that opens up the exchange and ending on a note that is memorable and meaningful. This one is based on two classic findings in the social science on influence, the primacy and recency effects – or what I refer to as the “you never have a second chance to make a first impression” (primacy) and “what have you done for me lately?” (recency) principles of human relations. The first thing people hear (or experience) holds great weight because it frames their expectation for what comes next. Research shows that in about twelve seconds a listener knows whether they really want to engage in that conversation or not. Are you giving them something right away that is worth staying around for? We comprehend with our heads, we remember with our hearts. If your close doesn’t somehow bring the human connection to everything you’ve said, all the cognitive elements of your message (the logic, evidence, data) are empty. Whether it’s how you end a phone call, a board meeting, or a keynote address, the close should capture the “heart” of the conversation – your emotional connection to the listener/audience, the significance of what you’ve exchanged, a forward view to what is next. TIP: Visualize the emotional tone you want to create at the beginning and closing of important communications. This calls for as much prep as the full body of the message. Envision what will break the ice, establish rapport, and leave a lasting impression – and make sure you land it. Subscribe to the Journey Sherpa newsletter!